I found something interesting, or rather, a link to something interesting, on a closed Facebook group for Messianic Gentiles: a Ger Toshav Certificate. It seems to be something a non-Jew would attest to and sign within the confines of a Jewish community in which he/she is participating. It refers to formalizing their relationship as Ger Toshav/Giyoret Toshevet, an “Affiliate of the Tribe. I checked, and on the site’s About Us page, they state their site is housed at the Reconstructionist Rabbinical College in Wyncote, PA. I know the Messianic Gentiles group where I found this, often uses the Ger Toshav model to define the relationship we Gentiles have (potentially) with the larger Messianic Jewish community (although there’s no one, clear definition of “Messianic Gentiles,” “Messianic Jews,” or how they’re supposed to deal with each other. Someone else in the group posted a link to Shechinah.com and a rather lengthy commentary on the Ger Toshav. I checked this too, and found the site owner is Rabbi Rayzel Raphael who, among other things, was ordained as a Rabbi within Reconstructionist Judaism, is a singer and songwriter, and has an affinity for pastel colors. The information sources seem pretty liberal regarding Jewish/Gentile relationships, but I’m not sure that will work out well within the Messianic Jewish movement. One of the apparent goals within some expressions of Messianic Judaism is to define it as primarily to exclusively Jewish, created for and administered by Jews living under Conservative or Orthodox praxis. Thus the goals of at least some Messianic Jewish groups, and probably a large number of Messianic Gentiles, are at odds with one another. How can a Jewish community be said to be primarily or exclusively Jewish if it has a majority membership of Gentiles, and particularly if they are given official status within that community based on public declarations of participation, and perhaps even serving on their administrative board? On the other hand, many, many Messianic Gentiles desperately seek to belong as equal members of Messianic congregations. I used to be like that, but those ideas slowly began to unravel and ultimately, for many reasons, not the least of which is being married to a non-Yeshua believing Jewish wife, I ceased my personal association with both Messianic Jewish worship and attending a Christian church. 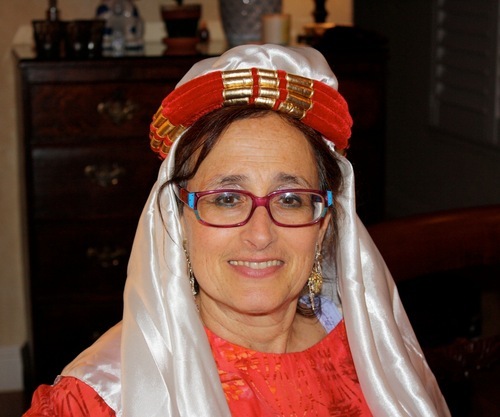 Rabbi Rayzel Raphel – Found on her twitter page. It’s left me somewhat in limbo (you should pardon the expression), but for me, there doesn’t seem to be a viable option for community, barring this blogspot. My question is, for those non-Jews who do want to belong and be recognized within Messianic Judaism, do these ideas culled from Reconstructionist Judaism make any sort of sense, or are they just wishful thinking? I know non-Jews can participate widely within the Reform and Reconstructionist movements, but within their own religious branches, these Jews have nothing to prove. Within Messianic Judaism, it’s quite the different story. Any hint of “Christianity” within their midst, and every other branch of Judaism, as well as secular Jews, would drop MJ Jews like a hot rock (or that’s the perception at least). What about it? Are non-Jews doing the Messianic Jewish movement any favors by clamoring to be let in? Maybe we should be content to be accepted within whatever religious group that will have us and that we can tolerate, or even find a home in, and call it good. Previous PostHurtado on the “Conversion” of PaulNext PostWhere is God When We Need a Miracle? Man, your blogs are always a stiff shot of downer. I prefer to think of them as a reality check. I don’t expect everyone to agree with me, but I hope my commentaries will make people thinking in new directions. From a key phrase in the certificate document, which includes a space to identify the name of a special individual who is the focus or inspiration of the ger’s association with the Jewish community, it appears to me that the real purpose of the document is as a fig-leaf in an intermarriage situation. But perhaps I’m viewing it too cynically. I wonder also if this is intended as an alternative to the practice of registering participating non-Jews as “associate” members of a synagogue or other Jewish organization. Would any of the gentile disciples in MJ congregations find this approach — that is, a recognition of a sort of semi-conversion — sufficiently satisfying to their aspirations of belonging, do you think? I would expect that these aspirations are more demanding of concrete participation in the conduct of the community, which raises the specter of non-Jews outnumbering Jews in their influence and contaminating decisions of conduct with non-Jewish perspectives that deteriorate the Jewish quality and validity of the organization in which they participate. I find a parallel concern in the Israeli political arena, where the notion of extending Israeli sovereignty over territory where a significant Arab population resides presents a challenge to universal popular democracy, because there are issues of Jewish national identity and praxis that Arabs do not generally support. Hence, to ensure that the state of Israel does not cease to be a Jewish state controlled by Jews, some fundamental aspects of the state cannot be subjected to universal suffrage. Such aspects must be predefined and predetermined, and never subjected to any chance of being invalidated by some misguided “popular vote”. Consequently, democracy must be limited to local issues such as referenda on the ordinary conduct of municipal services, and election of local governance; while equal justice under national law must be shaded by a more “monarchial” perspective that the law must be based in Torah rather than the examples of Sharia or some other national or international system. On some national issues, even Jews may not be permitted to determine the outcome by popular vote, except in the ratification of representatives who meet certain predefined qualifications. If this sounds reminiscent of the American Electoral College system, and the structure of a democratic republic, it should. The parallel of Arab “Gerei Toshav” in a Jewish State of Israel and gentile disciples in a congregation of Jewish messianists may not be a precise comparison. It may be hoped that gentile disciples are less hostile to Jewish sovereignty [:)]. Certainly their participation should be viewed as much more voluntary and agreeable. Any conflict between their motivations or perspectives and traditional Jewish ones should be merely a consequence of insufficient experience rather than deliberate contrarianism. But the need for a prevailing “orthodoxy” that constrains and predetermines the nature of decisions and conduct is similar. A certificate that acknowledges this, in return for a measure of “acceptance” or “belonging” (akin to “citizenship”? ), might not be amiss. The Acts 15 declaration established a sort of “resident alien” status for Gentiles within Jewish community, but the conditions were quite different then. I’m not saying that such a status won’t be conferred to Gentiles in the Messianic Age, it’s just that in the current age, the goals of at least some Messianic Jews and of many “Messianic Gentiles” don’t always align. I also noticed that there was a space on the certificate for the Gentile to be assigned a Hebrew name, which makes little sense to me, since the Bible has no such requirement as far as I am aware. Considering the non-orthodox source of that certificate, and the purpose I have inferred for it, I suspect the assignment of a Hebrew name is yet another justification to absorb these individuals into aspects of Jewish ceremony where a participant is called to participate by invocation of their Hebrew name, such as aliyot to the Torah reading. However, such a practice would be inimical to the traditional distinctiveness of Jewish identity. It would represent a failure to recognize any difference between a semi-converted gentile “ger toshav” and an actual “ger tzedek” convert with full Jewish responsibilities and privileges. Such confusion is, in my view, detrimental to the Jewish people and the very notion of Jewish peoplehood. On the other hand, if someone who wishes to interact with the Jewish community should happen to be saddled with an offensively idolatrous name, it could be merciful to the individual and to the Jewish community to offer an opportunity such as this to adopt a non-idolatrous inoffensive Hebrew alternative. I think you and I see things pretty much the same way. Some non-Jews involved in Messianic Judaism seek a relatively easy way to become involved in Jewish community, and it’s not all that easy, particularly in Messianic Judaism. I might be more accepted as a Gentile married to a Jew in a Reform synagogue or even by the Chabad, since their primary mission is to bring secular Jews into Torah observance. I’d more or less be along for the ride, but they’d probably make me feel welcome for the sake of my spouse. I can change the photo if you’d like or just remove it. I am more a loner than a joiner due to disability, so perhaps I look at the question with a skeptical eye as to my comfort. I like people, and I like to talk G-d with almost anyone, on any topic, but I get worn out easily. Certainly it is more restful to be with others of like mind if you like group events, but I don’t…not really. So I tend to look at events as to how they affect others, and I only see gatherings of a religious nature to really be gatherings of a community…to hold up and support one another. And of course, for families to get the children set on the right path, and for adults to gather for deep study…but there isn’t much deep study in most religious gatherings of a non-Rabbinical background. Most of the really good Rabbi’s, whether Messianic or Orthodox, have pulled their small congregation onto the web, and give out more information than you can find easily outside of a Jewish quarter. And then, there is the difficulty of finding Messianic Believers who want to concentrate not on orthodoxy as a life style, but merely on the depths of the information in the Scriptures. It appears just now that there are not many true seekers after Messianic truth, and thus, hard to find. Perhaps that will change as events intensify, but I don’t see people gathering the more because of trouble, but huddling at home, and reviewing their treasure trove of recorded teachings under the guidance of the Ruach haKodesh. All I am doing just now is preparing such a treasure…in the event we must turn our houses into synagogues in future, for the odd person who is just beginning to see what Yeshua wants them to look into. Sorry James, that was off topic in regard to the Ger Toshav Certificates, but rather describes a total lack of need for such a certificate, except to make people feel accepted by whatever group they are in. Perhaps they would be more valuable as a mark of some study with a Rabbi that denotes a level of knowledge of Judaic worship acceptable to a synagogue and not anything else. No worries, Q. I think Messianic communities are still struggling to integrate Gentiles within Jewish space. It was the same struggle facing the apostles and elders in Acts 15. Unfortunately, our situation is radically different than it was in those days. 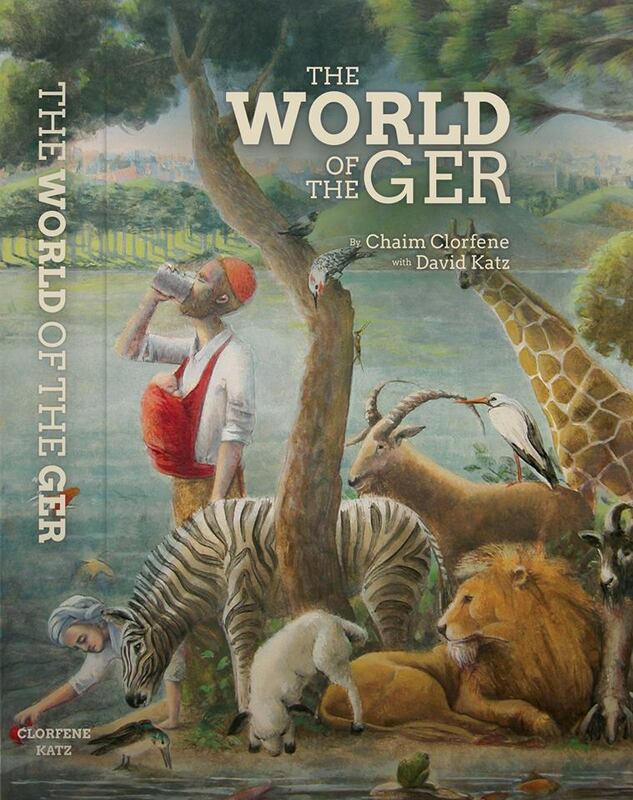 Each community is establishing its own standards and practices, and the private Messianic Gentiles Facebook group I’ve mined for this information continues to use the traditional “Ger” model to define themselves. That probably won’t work for everyone, and for those of us who are disenfranchised, we have some flexibility in defining our own praxis. Promote and Push TO READ THE BIBLE. Don’t mixed up, especially to the Spiritual Context of the Holy Bible and of the worldly saying! (or literal understanding) The Word of God or the Holy Bible (especially the Everlasting Gospel) was already in the world ever since but no one put their 100% trust in it and with the guidance of the Holy Spirit! Its all there; commandments teachings, advices, examples, prohibitions and especially the JUDGMENTS! Many people in the world are neglecting and bypassing all those commandments and prohibitions, in order to pursue their personal agenda without proper knowing of the True Plan of God (that we already informed and shared to this blog site) exclusively to every dispensations and transitions of every Covenant of God to the Israeli people. Because God is so strict, thats why he make a requirement before anyone can enter. As God saying to Adam “he should suffer for their salvation” and also the same to all the Chosen chatacter in the whole Bible! So, ALL minor and major survivor is a form of Calling of God but no one realizes it! James, your believe and understanding on Acts 15 is still does not conforme to the Will Plan of God, for A. Paul only uses that gentile term in analogical parable representation in his written message, which he only meant to refer only to his separated countrymen of the 10 North Kingdom of Israel to the Judah’s House at his time. Which he also supported it in Efe. 3:6, that the gentile is also heir to the Kingdom which will really contradict in the Plan of God. If what he wrote is true? To the reason, God have no covenant commitmment to the literal gentile people. And secondly, all the literal gentile nation have been already condemn judged by Yeshua M. ever since 1st Century in Mt. 25:31-46, proving the spiritual illegality of all establish gentile christian religion. And this were also the many problem of the many people nowadays in reading and understanding the literal writings of the H. Bible especially the NT gospel book. Which really have a prepared formulation of Applied Covenant Application to be understand it and to whom the messages is really referring it which they only ignore them. And the generalization of the messages were very acceptable to human but to God is still a big contradiction mistake and what for to those who corrupted it. And this is now the many kind of many Bible translation that were published nowadays. So, it is a requirement to know the New Covenant Plan of God, so thou really understand the latest and the most updated messages of God in this our ultimate Covenant Period Plan of God, which is really very near to its end. Additional information: I never tolerate any idolatrous understanding such as giving birth of a virgin woman, crucifixion, the 3 wise men, a holy family and of being slaughter of a ruling king! The true spiritual fulfillment of the Gospel about the coming of the “Savior” , its virgin birth and its crucifixion. (The prophesied savior to come is “The Word” or the “Holy Spirit” and not a royal man as was understand by many ancient Jewish scholar) So. The personification of the Word is applied in the fictionize story style of parable proclamation made by the Evangelist as prophesied in Psalms 78:2 and to be spoken in parables on its fulfillment as Yeshua Messiah did ( Mt. 13:35, Mc. 4:2 and Lc. 8:10) and to K. Solomon version as the “virgin birth without pain”. So its very clear that it must not be taken literally. And this is how the spiritual explanation how it happen; The virgin woman symbolizes as a chosen prophet to be, and upon his reading and studying the books of G-d such as the Eternal Gospel (or the bread which came down from heaven of which Yeshua Messiah feed to his recipient followers) the old covenant books (old manuscript), the virgin woman (or the prophet to be) of upon learning it little by little of the book, he fills the womb of his brain (the evangelist interpreted it and called it conceiving or conception) of the Word or the Holy Spirit (see, how the conception has no relation to a man), and upon completing his learning or acquiring its full knowledge of the wisdom of G-d will, the G-d plan purpose of this is for saving his (chosen) people (the evangelist called it the final stage of its conception) and the next step is the giving birth of the virgin woman (prophet to be) which will happen in the time when the prophet to be “will speak out from his mouth the Word of G-d” or “Christ male child” which symbolize the lower knowledge wisdom of G-d. So, there is No literal sto. nino (which the evangelist interpreted it as the giving birth of the virgin woman/prophet to be), which also the sign of his becoming the chosen prophet of G-d (Note: you will see the fulfillment of the prophesy is without any connection or relation to idolatrous understanding).To continue our topic, the new chosen prophet, now working of his heavy sacrifices of proclaiming the lower knowledge of wisdom (Christ male child) until it grown high and difficult to preach the wisdom and which only the chosen can understand him (which the evangelist interpreted it like one carrying a heavy cross). As it goes on and on of his many sacrifices and continuously repeating of ministering the Word made by the prophet, the evangelist interpreted it as like one nailing the Christ or the Word of G-d to the mountain of golgotta or the skull or to the brain of the prophet. So that the Word will stored permanently or being memorized all the true spiritual meaning of the word of G-d by the chosen prophet (NO CRUCIFIXION). Interesting, the contemplating of gerei in Messianic community being like Palestinians (or others) living in Israel. And then, further, comparison of Israel to the United States. Hmm. As for congregations, this does make sense to me: Any conflict between their motivations or perspectives and traditional Jewish ones should be merely a consequence of insufficient experience rather than deliberate contrarianism. But the need for a prevailing “orthodoxy” that constrains and predetermines the nature of decisions and conduct is [the point]. A certificate that acknowledges this, in return for a measure of “acceptance” or “belonging” […], might not be amiss.